It’s no secret that great minds think alike. That’s probably one reason why it’s common for people to choose a spouse based on their own profession. For example, in one study, a full 16% of married people in the education and healthcare industries were married to another education or healthcare professional. Nine percent of people working in social services were married to another person in the same profession, and 8% of police officers and firefighters also chose spouses with similar professions. Know what else those occupations have in common? They’re also likely to qualify for public service loan forgiveness (PSLF). Even if your spouse isn’t in a similar public service job, knowing how PSLF works—and how it impacts your family finances—can help you make an informed decision about what the right course of action for dealing with your student loans is. 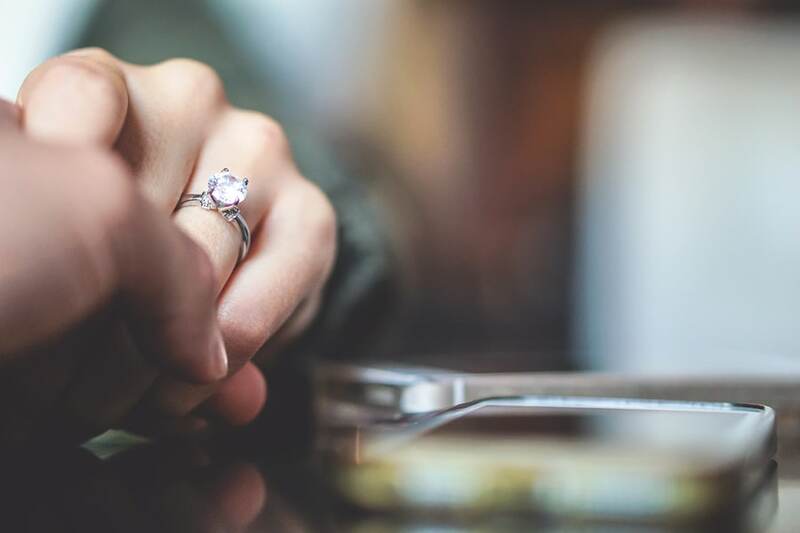 All joking aside, marriage brings a lot more than just people together—it also brings your student loans together, at least in terms of how you manage them as a family. Let’s be clear: your Federal student loans will always stay in your name. Your spouse will never hold legal liability to pay back your Federal student loans for you, except in the unlikely event you receive an unfavorable court ruling in a divorce. The point is that you’d like to be responsible for your own student loan debt—and, legally, you are. But in reality, it’s not possible for you or your spouse’s loans to not affect the other person unless you never get legally married. Even then, if you live together in a non-married domestic partnership, it will still affect your joint finances. Ask us about qualifying for student loan forgiveness! PSLF can be a confusing program. We’ll briefly go over how the PSLF program works here to help you understand better how it impacts your combined wallet. Most people with Federal loans can apply for these income-driven repayment plans, regardless of what type of employer they work for. After 20-25 years, your remaining loan balance will be forgiven. Here’s the kicker for the PSLF program, however: you can actually have your loans forgiven in half the time—in as little as 10 years instead of 20-25—if you meet some criteria and complete some forms. But because you’ll normally pay off your student loans after 10 years anyway, you can only really take advantage of PSLF if you’re on an income-driven repayment plan because only then will your payments will be stretched out past the 10-year hurdle. If you stay on the standard 10-year repayment plan, you won’t have anything left to forgive by the time the 10-year mark comes up. If your income suddenly increases after several years of low payments, you still can stick with PSLF. You’ll just use the cap on PAYE or IBR to ensure you have something left to forgive. To qualify for PSLF, you’ll need to make 120 qualifying payments while employed full-time in a government or non-profit 501(c)(3) position. These payments do not need to be continuous (i.e., you don’t lose your balance of qualifying payments if you take a temporary break to work for a private employer). Each year you’ll need to complete an employment certification form and send it in. It’s not technically required to send it in each year, but you will need one on file for each year, so it’s easier to do it now rather than 10 years down the line. Then, after you’ve made 120 payments, you complete a form to apply for your loan balance to be wiped away like a Mr. Clean Magic Eraser. If you’re trying to maximize the benefit you get from PSLF, it makes sense to minimize your monthly student loan payments as much as possible. The less you pay now, the greater the amount that will be forgiven. If you’re a married couple working towards PSLF, you can reduce your monthly student loan payments now by filing your taxes separately. This works on either the PAYE or IBR plans if your spouse does not owe anything. Using this strategy, it looks like you have a smaller income, and thus the loan payments you need to make under an income-driven repayment plan will be smaller. A smaller monthly payment = a greater forgiven amount after you’ve made the obligatory 120 qualifying payments. If you file your taxes as married-filing-separately, you may get a lower student loan payment, but you could easily end up owing more in taxes since married-filing-separately folks are often taxed at a higher rate. If you file your taxes jointly, your student loan payments might be higher. If you file your taxes separately, your taxes might be higher. The only way to know for sure which is the better option is to compare each scenario. To do this, you’ll need to work with an accountant (unless you’re personally handy at tax numbers) to see what the difference in your tax liability will be if you and your spouse file separately, or jointly. One trick that works well if you use TurboTax is to open the prior year’s returns and toggle between “Married Filing Joint” and “Married Filing Separate” in the software. The difference in the tax bill will be the tax penalty. Compare that to what your student loan payment would be if you file jointly or separately (you can call up your loan servicer to get this information, or use this calculator). Whichever option—married-filing-jointly or married-filing-separately—is cheapest after taking both your tax and student loan payments into account is the one you should choose. While the only way to know for sure if you should file jointly or separately is to run the numbers, there are some clues that can help guide you. Filing separately for the IBR and PAYE programs is generally better for married couples with similar incomes. In this case, the tax penalty is usually lower than if one spouse earns a vastly higher amount than the other spouse. In this case, the math is more likely to work out in your favor because any tax penalty is likely not high enough to wipe out the savings you’ll get from a lower student loan payment. If you sign up on our email list to get our calculator, you’ll be able to model the payment difference between married filing separate and married filing joint. If you want to estimate the difference in taxes between the two filing statuses, try out the married filing separate calculator below. It assumes you use the standard deduction and doesn’t constitute formal tax advice. That said, I hope you find it to be a useful starting point. It’s pretty common to have one or both spouses switch from a public service job to a private sector job. After all, the paychecks are usually higher in the private sector. If you or your spouse think this is possible in the future, it might be better to go with the REPAYE plan. Here’s why: while you’re paying off your loans, interest will continue to accrue. If the amount of interest that you’re supposed to pay each month is higher than your monthly payment amount under an income-driven plan, it will be tacked on to your loan balance, and it will continue to grow over time rather than shrink. But, if you’re on the REPAYE program, the government will pay half of the difference between the interest owed and your annual payment, meaning that your loan balance will grow slower over time. Let’s say Bob Loblaw owes $300 in interest as a part of his student loan payment. But, if his monthly payment amount is capped at a smaller amount—say, $200—there’s a $100 difference. If Bob Loblaw is on a non-REPAYE plan, each month that $100 difference will be tacked on to his loan balance, and it will get larger over time. But if Bob Boblaw is on the REPAYE program, the government will pay half the difference—$50—while the other $50 is tacked on to his loan balance. It will still grow over time but at half the rate. If Bob Loblaw decides to leave his public service job and start a private practice with his wife Bobetta, he’ll have a much smaller balance to pay off or have forgiven over time thanks to the interest subsidies from the REPAYE program. Click here to ask us about student loan forgiveness! Finally, let’s look at a couple common questions we get from readers and clients. Make sure to check out our Top 40 PSLF Tips to get the full scoop. 1. What are the Public Service Loan Forgiveness Income Limits? There are no income limits for the PSLF program. However, if your income is high relative to the balance of your student loans, you might not qualify for an income-driven repayment plan. If you can’t get on an income-driven repayment plan, you won’t be able to take advantage of the PSLF program because you’ll have paid all of your loans off under the standard 10-year repayment plan by the time you would qualify for PSLF after 10 years. In other words, you’ll have no balance left to forgive by the time you would qualify for PSLF, so it’s a moot point. In general, we find a lot more high-income individuals would qualify for PSLF than they realize. 2. 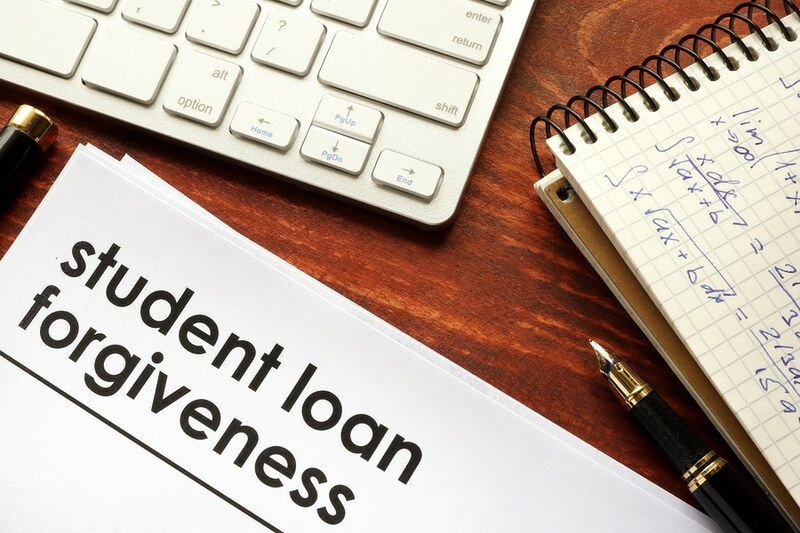 Is the Public Service Loan Forgiveness Grandfather Clause a Real Thing? Not specifically. If any changes are made to the PSLF program (a very likely thing with the current administration), we feel 90% confident that current people in the PSLF program will be grandfathered in. This is typically what happens when new legislation is passed. However, it’s not a 100% guarantee, and new borrowers would not be eligible for the program anymore. 3. What is the Public Service Loan Forgiveness Maximum Forgiveness Amount? There is currently no cap as to how much can be forgiven. In 2015 legislators tried to impose caps on the amount that can be forgiven, however, this was shot down. It shows that there is very little political will to impose caps on forgiveness amounts for this popular program. 4. Can I Consolidate My Student Loans With My Spouse? No. Oddly enough, this is a question on the application form for Federal student loan consolidation, however, it’s not allowed under present rules. It’s a classic example of government bureaucracy falling behind itself with all of the rule changes. 5. Is My Spouse Responsible for My Student Loans if We Divorce? It depends on which state you live in. In a divorce, your assets and debts generally get split up by a court, and it’s possible that you could be assigned some of your spouse’s student loan debt. Not all states do this, however, which is why it’s necessary to consult with a divorce attorney. If you owe more than $100,000 in student debt, we’ll probably add a ton of value over and above our one-time flat fee for our consult service. The key is to make sure you’re not sticking your head in the ground trying to avoid thinking about your loans because they’re stressful. Use our free tips or hire someone like us to figure it out for you. 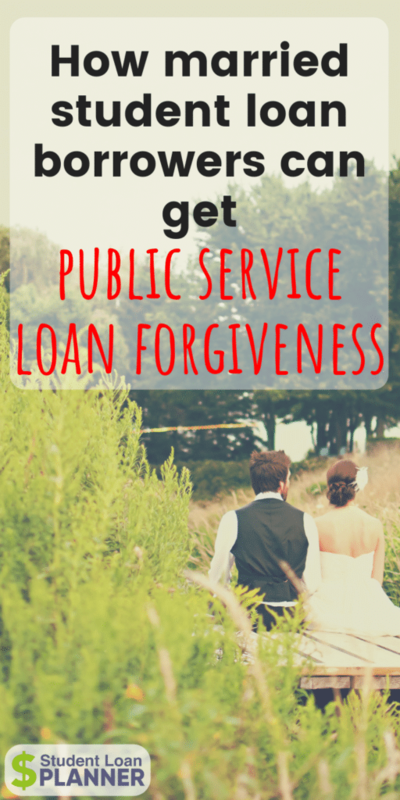 Are you and your spouse considering Public Service Loan Forgiveness? Why or why not? We’d love to hear your thoughts in the comments! What if you and your spouse are on REPAY and only you qualify for PSLF. At the end of 10 years of payments, what happens to your spouses payments? Is this a good spot to consider filing taxes married filing separately? The spouse would still have the remaining years of IDR payments and won’t be forgiven under PSLF, correct? That’s right. Your spouse would have 15 years (or less) until their loans would be forgiven. REPAYE doesn’t allow you to file separately, so you’d want to look into either PAYE at that time or refinancing. Depends on your situation. I have been on REPAYE since the beginning of my entry into the PSLF program (January 2016). I got married in September of 2017. In April of 2018, I filed ‘married, filing separately’ for the first time (she has loans, but is paying them off on the regular 10 year payoff plan). My understanding is that I will need to get into a different type of plan. Do I do this at my annual certification? Will the payments I have made since we got married count towards PSLF? Hi Travis, Great article! My wife is a public service nurse paying off her loans. Although, I am not a public service worker and she is, is there a way that I can pay off my loans through the PSLF since we are married? That would be nice but unfortunately no that isn’t possible. Hi Travis thanks for the great info! I have PSLF loans, my wife doesn’t and we got married in September 2018 with a plan to file separately. I’m still in my PGY2 of residency so my payments are very low under the REPAYE, when do I actually need to make the change to PAYE before my payments increase, can I wait until next time i certify in July 2019 or will it increase automatically after I file/earlier? Thanks Travis, am i required to re-certify immediately when i have a change in pay or is it an annual recertification? I would like to ideally continue these low payments for as long as possible. What if my wife made 60 payments over 5 years, working at a non-profit healthcare company, and then stopped working to be a homemaker, and we now have 120 payments over 10 years, only 5 of which she worked for qualifying employer, and remained “married filing jointly” to me for 5 years, while making payments and I worked for non-profit. Said another way, can married couples filing jointly use the program if each spouse worked at a non-profit for 5 years each while making 120 payments? That’d be nice if that was possible, but unfortunately they don’t allow that. What you could do though is if she might go back at some point for another 5 years you could try to keep the loans in a minimal payment situation and get the forgiveness at a later point. The 10 years don’t have to be consecutive. I have historically put “no” because when I’m filling out this form, my spouse is typically traveling for work. AND, and more to the point, because I’m nervous that including his income will increase my payment on the IBR, as he makes double what I do. This is why we file separately in the first place – so I can continue to make lower payments based on my income. Does anyone know for certain what happens if you include spouse’s income on this IBR when it’s higher than yours, even if you’re married filing separately? Also, is there any chance saying that I can’t reasonably access it could affect my eligibility one day? Sure I think it could impact your eligibility. That question is meant for folks in the process of a divorce, separation, or who had their spouse suffer a disability. Filing separately is enough to exclude spousal income as you already pay a tax penalty to do that. I wouldn’t unnecessarily pur yourself at risk of an audit, which they do not do currently but could once more people start receiving forgiveness. you have to say no to this or you have to include their income information. are you saying to show their income anyways and hope that your payments don’t increase? No you can exclude your spouse’s income by filing “married filing separately” for income taxes AND selecting either the PAYE or IBR plans. You have to compare the higher taxes you’ll pay to the married filing joint payment. My opinion is that the “can’t reasonably access your spouse’s income” is intended for victims of domestic abuse or individuals in a separation from their spouses likely to result in divorce. I think it’s being vastly overused right now and could cause some issues for folks who check this box year after year. I do not recommend it. I am still a little confused. You have to check the “can’t reasonably access your spouse’s income” box as yes or no I believe on the IBR re-certification form (you can’t just leave it blank or out N/A). You are suggesting not to check NO if you are married and not in a separation or domestic abuse situation in case of future audits, but if you check YES they do count both spouses incomes into your monthly repayment amount. This question always confuses me as well because on the studentaid.gov website it says that if you are enrolled in PAYE AND married filing separately, that only the borrowers income is used to calculate loan payments, the website says nothing about also having a requirement of not being able to “reasonably access your spouse’s income”. I am not sure what to do here either but we cannot afford the higher loan payments if both of our incomes are calculated with daycare….. it would literally take food off of our table! The simple answer is that you always want to reply that you CAN access your spouse’s income no matter what your tax status is. If you tell them your spouse’s income and do married filing separately on PAYE then your payment is only based on your income. Honestly, that question is a silly question and shouldn’t be on the forms. They should just ask “Are you currently going through a separation with your spouse or are you a victim of domestic abuse?” That’s the real essence of that question. I recalculated my income driven loan right after my husband was layed off in 12/17. I filed our taxes jointly this year. Now, with all the talk about the loan forgiveness program in jeopardy, I wish we had filed separately so that I could just go into this program. However, I know that my current payment will go up approximately $400 more! I am hoping to make it to the next recalculation before transferring my loan to the loan forgiveness program so that they will take next year’s taxes (which I will file separately) into consideration. Do you think they will eliminate this loan forgiveness program soon? No you should be ok. Everyone expects folks will be grandfathered in if they already have loans. Tax filing status makes no difference as to your eligibility. I’m wondering if my husband, who is a teacher and who is paying off my loans because I’m a stay at home mom, would qualify for the PSLF program? Unfortunately no he’d have to have the loans borrowed originally in his name Julianna. Your article describes how filing separately generally works on the PAYE plan if your spouse does not owe anything. What if you and your spouse are both on PAYE and only you qualify for PSLF? Is filing separately less likely to make sense? So if you had a small income and you had most of the debt but your spouse had a high income, you’d have to think if the tax penalty is worth it to file separately and incur a lower payment on a balance that will eventually be forgiven. You’d also weigh that approach against refinancing for the non PSLF spouse. It can get very complicated and it’s dependent on the individual circumstances but it’s worth thinking about. My wife has student loans in her name and she is now a stay-at-home mom to our children and I am paying her loan payments (IBR). I work for state government. I am guessing the payments I am currently making are not eligible for PSLF. Would the loan be eligible for 25 year forgiveness if I continue to make payments or would I be better served to consolidate to a lower interest rate? We file our taxes jointly. However, if the debt is large then I would consider PAYE and try to get forgiveness in 20 years instead of 25. Both my spouse and I are on IBR repayments. I’m in PLSF and she is not. Last year we filed jointly because she only worked part of the year. Now she is working full time and we flipped to married filing separately on our W4s. Her recertification is in June and mine is in November. Do we have to use last year’s married filing jointly for our certification or can we somehow switch to filing separately for payment calculations? If you’re both on IBR payments and you’re filling separately, then I believe you’re making a mistake and should think about amending your return. Filing separately when both spouses have loans is almost never a good idea. Why would this be? Both of us have massive loans and using our income separately would drop what we each have to pay until I can knock out the loans with PLSF. Otherwise we both we essentially have to make payments on our combined income. This would be more than we would get back by filing jointly. It’s actually just a percentage of your combined income in proportion to how much you each borrowed. It adds up to 10 or 15 percent of combined income depending on plan you are under. I am wondering if I could be provided a payment plan under my income alone even if I filed married jointly last year? For example 60k together, which is 30k for each. My wife has no loans; only I have loans and I work for a public government agency. How can I request for a servicer to use my income only? And say they don’t use just mine, and I still end up making qualified payments towards PSLF under married joint status; but suppose, next year we have decide to file seperately – will I loose the first year of payments towards PSLF that were made under a differ tax filing status (married jointly)? Thank you sir. One follow up Q., is that doesn’t REPAYE as you earn assisted with intetest? Or for PSLF repayers that does not really matter since is 120 payments? Also would you comment if the servicer, suppose for this year after already provided them joint W2s, could use my side of income only? Thanks again. How would repayment work with a married couple where one has the REPAYE and one has the PAYE? Does the one on PAYE have to switch to REPAYE in order to get the proportional repayment amounts? Total loan debt is about 300k (210k and 90k) and one makes 120k and the other 70k respectively. Thanks. That should be ok for one to be on PAYE and another on REPAYE, but I’m curious what the reason is for splitting it this way? Why not both just be on REPAYE if you’re going for PSLF? Not currently married. This is hypothetical right now. Trying to determine if it’s worth it financially to delay marriage. She is on PAYE because she is able and I am on REPAYE because I can’t be on REPAYE. We could just switch her to REPAYE to make it easy, I suppose. I was just curious if it was possible to do so without doing anything. Have you ever heard of couples divorcing until PSLF is complete? My income is at a standstill in a nonprofit, but my husband has a chance at earning more each year. We have filed married separately the last two years, but next year the tax penalty may be steep. The increase in my monthly payment would be nearly $500 if we file jointly, which is not affordable. It sounds so so crazy to me, but I feel like we’d need a divorce for two years to be able to afford two more years of loans payments until I have made it to 120 payments. I don’t think that would make sense though I’ve heard of it. I’d probably just file separately then amend returns in the year you get PSLF to get some of it back. you can amend for up to 3 years in the past separate to joint. Thank you- I wasn’t aware you could amend that far back. Hi Travis – my husband has his loans on IBR through PSLF (private physical therapy school, so they are well over six figures). I have some loans that I recently refinanced and plan to pay off in the next 3 years. He makes about $100k and I make about $55k. He gets salary increases multiple times a year, whereas my income increases on much smaller increments and at a slower pace. We have toyed with the idea of filing separately next year, but with changes to the tax code, I can’t figure out if filing separately will be to our benefit. His IBR payments have continued to increase and I hope to go back to school (without taking additional loans, hopefully!) in a year. Filing separately seems to be better for his payments and could allow me to get more institutional scholarships. Does filing separately seem to make sense for our situation? Thank you! Hi looking for advice on our current situation. We were recently married. Both of us have federal student loans. The combined amount is approx. $95,000. We live in PA. Our AGI for 2017 filing jointly was $120,00. We have not consolidated our loans. We are not on any type of income driven plan. Both of us have jobs that would make us eligible for PSLF. Would we even be eligible for any of these plans? In an ideal world we would like to consolidate and get on an income driven plan that takes 20 years to pay and then have our debt forgiven after the 120 payments. Is this even possible with these numbers? Let me know if you need more info. Thank you for your response in advance. Only way you could make that work Chris is maxing your retirement plans and HSA accounts. That might limit your AGI to about 76,000 or so, which would make your monthly payment 400-500 dollars a month instead of the standard 10 year being about 900. So you could have about 40k to 50k forgiven in that kind of scenario. However, it’d take careful planning to make sure you actually have a balance that’s projected to be forgiven. Not thinking hard about this would result in complete payoff with no forgiven balance. Hi. My ex-wife and I consolidated our student loans under a joint spousal consolidation loan years ago. We are both highly-qualified teachers in low-ses schools for more than 10 years. Do our loans qualify for the Teacher Loan Forgiveness program? Wow I’d have to review that. I recently did a consult for a couple who has been divorced for a long time that also has a spousal consolidation loan. Based on that I think you’d be eligible but I would call and escalate this immediately to a supervisor at the loan servicing company. I have already filed for last year and neither myself or my wife have any HSA’s. I do have 401b retirement plan where I can increase my contributions. With this being said, what is some advice on HSA accounts, what they are and how can they be opened? And to clarify. Me increasing contributions to 401b really means I will have to wait until retirement but the benefit now is of lower payment? Do HSA work the same way? You can use HSAs right away for qualifying medical expenses which is basically everything that’s medical related. The 401k max is 18,500 and I generally suggest PSLF folks max theirs. The HSA is only offered by your employer if you have a high deductible health plan. The max is 6900 for a family so it’s not as big a deal as the 401k is. Hello. I am wondering if it would be better to file jointly or separately. I have about 180,000 in student debt and work for a non profit as a social worker. I am on an IBR and it continues to increase based on my husbands income. He makes a lot more than I do and has zero student debt. We have two children (out of four) that we are able to claim on taxes. This past year my payment doubled and I am currently in the recert process. I am positive the amount will increase again pushing us towards a $1000.00 monthly payment. I can’t figure out if filing separately will be to our benefit or maximizing retirement accounts. I have tossed around the idea several times but I am not sure if you have any other suggestions or a good calculator to use. You need to go to the third tab to compare the payments (look in columns E, F, and G). You need to compare the payment difference with the higher tax liability from filing separate and choose the lower overall amount. We do consults for folks who want the fast route to figuring this out, but that’s the DIY option. So I just married my wife in febrary and she is on the student loan forgiveness 10 year payment plan and pays 127.00$ a month for 120 payments. She makes about 57000 a year and I make 110000 a year. we have 3 children to claim. Should we file separate or jointly? Probably separately but it depends on your state of residence and what the tax consequences will be. I would definitely try to minimize your AGI as much as possible with retirement contributions. I work in a school as a School Psychologist. I also have a website (as a LLC). I have 100k in loans and have been making payments under IBR for the past 4-5 years leaving me about 5 more for PSLF. My husband makes more than double what I do in my school job and had minimal loans and paid them off already. We got married last year and filed separately this year. We live in Texas though, which is a community property state, so all income and expenses are split 50/50 (certain exceptions apply for pre-marriage assets). I understand you’re going through the ringer on this. One benefit of filing separately in a community property state is that you’ll have a lower tax liability, so it could be not as bad as you might think. Depends what the numbers say. Travis – I have a similar situation. Do you know if there is a way for the husband in this situation to report the website income on his separate tax return in order to keep the wife’s IBR payments steady? The income will be taxed either way, and likely in a higher tax bracket, but the wife’s student loan payments will not be affected. You have to include the income on the tax returns and then split the income equally, but then you have to seek alternative income documentation to make sure wife’s payments aren’t way higher as a result. So I would submit paystubs or a signed document stating what her income is. Essentially it’s what they agree to accept. I have 117k in student loans my husband has 66k I am eligible for pslf my husband is not. I make 75k he makes 50k. I did a couple diy calculators and it suggested I file jointly. Is this accurate? We filed separate in 2017 but owed quite the tax bill. Filing separately is probably a mistake. you could consider amending your return to joint and get that money back if it’s indeed a mistake and that could put thousands back in your pocket. Hi, great article and advice, thanks for this. I was recently married and when I re-certified last month, my loan payments tripled so I’m trying to explore my options. My student loans exceed $200K and I was on REPAYE, set up for PSLF in a few more years. My spouse does not have loans. My AGI is about $95K , and my spouse’s is $120 (currently both maxing out contributions to retirement). When I got my new monthly payment amount under REPAYE, I immediately requested switching plans and am awaiting approval to change to PAYE, which seems like it should lower payments. Is that correct? We have not filed taxes yet since marrying, but I am guessing we should file separately next year to lower the payments, is that correct? Any other advice? If I had any idea my loan payments would triple, we wouldn’t have filed the paperwork to actually marry after the wedding. Thanks. So my situation sounds similar. But I am not married yet. I currently qualify for PSLF and am in REPAYE. I owe 122k right now at 5.7%. My fiancé has no loans. I make 100K gross after retirement deductions and he makes maybe 150K. We are wondering when we do get married should we file jointly or separately. Seems with both incomes as joint that would disqualify me from any qualifying repayment options. So point is moot. or is it not that simple? and would our taxes be that bad if we filed separately to keep me on the plan? I am currently enrolled in the PSLF program, for about 3 years now. I work for a non-profit hospital as a nurse. My husband also works in health care, but he works for a private practice which I know doesn’t qualify for the PSLF program. We recently had our first baby, and I’m seriously considering being a stay at home mom for a few years. Financially we are able to do this, and honestly I refuse to pay for daycare because it will cost more than our mortgage. I would essentially be working/paying to not see her! I’d rather spend time with her at home and save that money. So my main question is – now that I’ve paid 3 years into the PSLF program, let’s say I step away for 3 years to be at home…But then I decide to resume working as a nurse for a non-profit institution, can I resume my PSLF payments at that time (3 years from now)? Is there a time restriction as to how long of a “break” someone can take? Secondly – while I’m staying at home, would I need to use the PAYE option to continue paying my loans? My payment would be based off my husband’s income, correct? (as this would be our sole source). My husband currently pays according to REPAYE and we always file married jointly, per our accountant’s recommendation. If youre on REPAYE then definitely jointly. The only hack you might be able to do is file separately for taxes and do PAYE for him while doing forbearance on your loans for about 3 years. That way you’d pay less on your debt, which would be forgiven. There’s a lot to this probably but that’s another approach you could take. But yes you can pick up right where you left off when you go back to work and keep your 3 years of credit. Great, thanks for your input! So there’s truly nothing in the program currently that restricts how long of a break someone can take? Could this change in the future? The thought of it makes me feel a bit uncertain… to be away for 1+ years, yet having my spot still “reserved” whenever I decide to go back. I am following up with another comment to our previous discussion – just needing some further clarification. I can’t seem to find the answers elsewhere. Mentioned prior, my husband pays his loans via REPAYE. I think I was a little confused regarding my own plan, but I contacted my loan servicer and they verified that I, too, am paying according to REPAYE within the PSLF program. Starting in January, I will in fact be taking a temporary break from work to stay at home with the baby. I’m confused about my options though – re: forbearance vs deferment. Are you able to explain what would be the difference in my situation, or what I would qualify for or would be most beneficial for me? Considering my income will be little to none. My husband and I plan to continue filing our taxes jointly. I’m trying to decide whether I should pay even a small amount on my loans each month (which would be based solely on my husband’s income, correct?) while I’m not working. Or if I should try to get my payments to zero. From my understanding, if we file jointly and are both under the REPAYE plan, then we would owe on my loans according to his income alone? He makes about 100k per year. I was told that I can use forbearance for only a set amount of months. I know I’m jumping around a bit with this post. Just trying to sort it all out. Thanks!! Hi. What would be some of the examples where I can check off “Married, but cannot reasonably access my spouse’s income information”. My spouse does not have any student loans owed. We file taxes jointly. Thank you for your advices. In my opinion (others might say something different) I think the only time that’s ok to check is if you’re going through some kind of separation or imminent divorce. It’s not intended to be a loophole to exclude your spouse’s income. I expect they’ll crack down on people doing that someday. Hi! I am technically unemployed (I receive no paychecks), but I put in 30+ hours a week doing admin for my husband’s college ministry. We are commissioned to do this work under the umbrella of a national 501(c)(3) organization. We technically share an income (which is entirely fundraised by us) but all of the paychecks are in my husband’s name. We file our taxed MFJ as “self-employed”. Right now we have a $10/month IBR payment. We have two kids and don’t make a lot of money. Our work is VERY financially sacrificial. But we love it! I am not technically employed by our 501(c)(3) organization, but I am formally affiliated with them as a volunteer. I have the documentation of this because I have to renew my affiliation annually. So, on the books I am a jobless volunteer stay-at-home mom, but in reality I am in a full-time public service position. My student loan balance is over $100,000 (mostly from a masters at a private university.). I don’t foresee us ever paying this off outright. My husband has no loans. I am wondering if I could qualify for PSLF as a “volunteer”? I put in the hours, I just don’t get paid. :-/ I have no problem with this on principle because I love the work, but is this setup up dooming us? Should we just pay the low monthly payments and wait 20 years to have it forgiven? At that point will we owe a big chunk of taxes on the forgiven amount? At that point I suspect the balance will be over $200,000. Is it worth writing a formal letter to my loan servicer explaining our situation? I am working hard, serving students on university campuses, but we are making very little money in order to follow this calling. I sure wish I had better news Shawndra, but you won’t be able to qualify without receiving paychecks as an employee. I appreciate the work you do. You could either go for forgiveness on the non-PSLF path, or you could wait til you get a job that qualifies. As a Federal employee in a permanent position, is it possible to utilize the Federal Loan Repayment benefit (https://www.opm.gov/policy-data-oversight/pay-leave/student-loan-repayment/) to pay off a spouse’s federal student debt? I don’t believe it’s possible but I’m not positive. Maybe someone else can chime in? Hi, I got married last year and I’m currently on the REPAYE plan with over $300,000 in student loan debt. I make about $103,000 per year and my wife is a teacher and makes roughly $55,000/year. She is currently in school so her loans are deferred. I am thinking of switching back to the IBR plan and filing married but separate. The only problem with this is that I’m eligible to itemize my taxes since the house is in my name, which would give some nice tax breaks. My wife, however, doesn’t own any property in her name and typically files the standard deduction. From what I understand, we either both have to itemize or both take the standard deduction. Could you give some advice in this situation? Would it be beneficial for me to simply take the standard deduction or is she able to itemize? If I had to choose between bigger tax break or lower monthly student loan payments, I’d go with the payments. My current student loan payment is about $542/month and I’m worried about it going up to the point where I can no longer afford it if we make the wrong choice about which way to file. Thank you so much for any help you can give. This has been stressing me out for months now. Hi Dee you know the standard deduction went way higher for 2018 so it might be tough to itemize anyway. Also I would see if they’d grant you an in school deferment waiver request. That might be much better if you’d both be on REPAYE and qualifying instead. I qualify for PSLF and have around $200k in debt. My husband is a stay at home father and has only about $7k left I debt. We plan REPAYE for now. I’m wondering if I should add his loan at all or just pay it off separately? I understand he’ll have another 10 years of payments after my loans are (hopefully) forgiven after ten years. I’d pay it off separately most likely. I currently work for a non for profit organization and I just graduated with my MSW. I know that if i continued to work here for 10 years my loans could be forgiven. However, I have a two year old and am trying for another child and I’d like to be a stay at home mom and open up my own day care (not certified right away). With that being said if I got on a PAYE plan would my loans still be eligible to be forgiven in 20-25 years or no because of my job? Yes you can use the PAYE 20 year strategy regardless of what you’re doing or not doing for work. Keep in mind that forgiveness would be taxavke income at the end of the 20 years though. That could be the case since IBR caps payments at the 10 year standard plan. However the analysis I’d suggest running would be IBR filing separately vs REPAYE filing jointly. So keep on doing mfs until the loans are forgiven even when we have kids ? Does repaye still forgive loans after 120 payments. I’m not as familiar with how that program works. With my wife working for the federal govt I’m looking for the best option for us. My significant other wants to get married to me but he tells me all the time, that he doesn’t want to marry my debt. My Student loan is 45K and the only debt he has is his Car loan. So my question is, are they a way for me to approve to him that he wouldn’t affect him? I want to pay off my own debt without bringing him into it. By refinancing and paying them off they’re totally legally distinct from him. However, if I had to choose between 45k of student debt and a car loan, I’d choose the prospective spouse with the student debt. Having a car loan is big ticket consumerism. Having student loans is something that you decided to do years ago, and the car is something you choose today to do by not selling it and buying a cheaper used one. If your debt was 400k I’d say something different, but 45k is small enough not to matter. My husband and I are trying to figure out student loan repayment options for us as he has to re-certify in November. He is currently on PAYE and has about $300K in federal student loans as well as some private student loans. I do not have any student loan debt to my name. We got married in 2017, filed our first tax return as married, separate because he is a 1099 and I am a W2 employee. I make $65K and he made $74K last year gross. He does not qualify for RePAYE from what we are told. What are our best options to get the lowest possible payment for his loans and possibly one that doesn’t take my income into account? He does not qualify for PSLF either. Any help is greatly appreciated! You’re on the right path generally. I would just try to save more money for the tax bomb and max retirement accounts. If PSLF is not an option, that means the forgiveness takes 20 years and is taxable income in the year it’s forgiven. If I am unmarried, have 3 children, can we both claim the 3 kids as part of our household size on the PSLF? Hi. My husband and I are both teachers in Florida, we each make about $40k each year. I am the only with loans, about $45k. I just recently put my application in for PSLF. In 2017, we filed our taxes married jointly. According to a calculator if we file married joint, my income- based repayment would be about $455, but if I were to file separate it would be only based on my income making my payments $145 per month (which is affordable). Can I start filing my taxes married separate in 2018 and submit my application for IBRP once I’ve done my 2018 taxes or is there no hope for me since I’ve already filed married joint in 2017? Basically am I screwed? You are not screwed you should be able to do either PAYE (better) or IBR (ok) filing separately and still qualify for PSLF. Since you both make about the same and Florida is a non-community property state, you shouldn’t have too much in the way of tax penalties. I just want to say thank you for all of the help you’ve given me as I navigate trying to get on this program. Every time I do research on PSLF your page comes up with just the answer I was looking for. I hope you are decently compensated for this because it is valuable service you are providing. I’ll look you up once I’m working again. Keep up the great work. Hi..I plan on filing separately from my husband for 2017 taxes. Mainly because he has his own busines now and is 1099. And because this will make my already high payment sky rocket into unaffordability. I work for a public university and just learned that I can apply for PSLF. Should I do this before filing my 2017 taxes? Also, I have been in this job since March 2015. Is there a way to go back and get the last 3 years into the loan forgiveness program? You should be able to get credit for those prior years if they qualified, just know you will wait a while. I would get started on applying now. Hopefully you mean 2018 taxes and not 2017 since the extension deadline passed? Alright then! Ill get started on it. And yes, I meant 2018 taxes. If I file Married, single in 2018, but have previously filed jointly, will they still want my husbands income, since it was taken into account in the past? We file jointly; my husband is a stay at home father. I have about $200k in loans and he only has about $7k left over. I’m pursuing PSLF under REPAYE; his loan does not qualify for PSLF. My question is, does it make sense to add his loan to the REPAYE payments now and (I assume) have a balance in 10 years when my loans are (hopefully) forgiven or pay his loan off now if we can? The percentage in his loan is 7%. After ten years, his payments would be expected to stay at approx $50/month? Would the balance be expected to have balloon well over $7k? Thank so much! That sounds like a sketchy or scam type of organization if they would file the paperwork for you. There’s been a lot of stories about places like that taking advantage of folks. I would not file separately if you both have loans, I’d file jointly on PAYE. My wife works for a teaching hospital and has been paying her student loans and is near the PSLF threshold. I am graduating next month and have my loans coming due. We file married jointly. Is it possible for her to continue paying her loans to term and have my loans forgiven? Sure remember your payments can always be capped regardless of your income on IBR or PAYE at the Standard 10 year monthly payment. As I read my question again, I don’t think I was clear in what I was asking. I am not currently working for a public service but my wife has for the entirety of her loan payments. What we are wondering is if since my repayment is based on our joint income, is it possible that her PSLF could transfer to my loans if she were to pay of her loans completely? Travis, what a great article. Can you give me an update regarding your “best guess” as it relates to continuation of PSLF and the current administration? Is the common assumption that PSLF will go away over the next few years? I am a third year med. school student and trying to stay educated on my future options. I am most likely headed towards working with a non-profit institution after Residency. Thank you so much, and a consult with you might definitely be in my future! Thanks Diane. Right now its full steam ahead for PSLF. There hasn’t been any serous effort that I’ve noticed in the past year, and now there’s a Democratic House, which makes PSLF changes unlikely for the next two years. I have about 100,000 of student loan debt and make roughly 52,000. My Husband has about 20,000 in student loan debt and makes about 62,000. He is doing the standard repayment plan and I am currently on PAYE and I qualify for the PSLF. Before we were married I had very reasonable payments. We got married in 2017 and filed jointly. I just got back my re-certification and my monthly payments have quadrupled! I was working with the repayment calculator and it seems like it would be better if we would have filed separately. Even though we both have loans, do you think it would be beneficial to file 2018 separately? Also since we already filed jointly for 2017 is there any way to lower my upcoming payments for 2019? I would suggest putting your taxes in turbotax to see what kind of penalty you’d pay for filing separately. I ran some numbers and found your payment if single would be about $282 a month. With being married, it should be $798 a month if you were both on PAYE. If his standard payment is about 200 a month, then the difference is a little more than $300 a month in extra payments you’re making overall because of being married. If your tax penalty is above $3600 a year, you should file jointly. If it’s significantly less than that, you could look at filing separately. I am struggling to find an answer to this question. Currently, my husband and I both have student loans. He has significantly more. He is a physician and on track for pslf. I have some loans from grad school and am a stay at home mom. We each pay a percentage now of our loan debt based on his total income. In researching the income driven plans, I think repaye would make sense for him but I think I should stay on ibr. Once his are forgiven, I may opt for the standard or extended plan. I may not want to keep paying a portion of his gross income. If I was repaye, I dont think I could switch back. Is it possible for spouses to be on different income repayment plans? 1. Is IBR really the best PSLF qualifying plan for this pre-2014 loan? 2. Does filing separately make sense? My best guess Stephanie is that it makes sense to pay off your loan and just treat his separately unless you have a huge number of kids. That would mess with the deductions you’d get. My spouse makes $350k (we paid off spouse’s loans already), I make $135k. I have $250k in student loans (We’ve filed separately while I’ve been on IBR and making PSLF qualifying payments for 5 years…so not even paying off the interest, I have significantly more debt than when I started paying, but the plan has been to get PSLF after 10 years). Now I’m thinking about becoming a stay at home parent, reducing my income to 0. Can we continue to file separately? Can I have an IBR plan with 0 income if my spouse is a high earner? If I go back to work later, can I pick up where I left off with PSLF qualifying payments? Yes you can pick up where you left off, but it highly depends on whether you live in a community property state or not. If you do, then you could minimize your tax penalty from filing separately. If you do not, then you could face a very high tax bill for your 0 dollar payment. Hi Travis, I am on the REPAYE plan and qualify for PSLF. My spouse is currently deployed. If I check unable to access my spouse’s income on my recertification, do you think I should be concerned that it will affect my payment plan or my PSLF application down the line? Thank you for your help! If wife is on IBR repayment plan for PSLF and we file taxes separate, can you go back and amend those returns to married file jointly? Does that impact loan forgiveness? is there risk we would have to back pay the higher monthly amount that WOULD have been owed had we filed with joint income. Seems like a no brainer unless that’s against the rules? Out of an abundance of caution, I recommend to my clients that you only do that once PSLF has been given to you. Then you can go back and amend 3 years of previous returns. It could definitely work but it might not while you’re still working towards PSLF. My spouse and I both have federal student loan debt. My spouse owes $42,000 and is on PAYE ($100/monthly). I owe $73,000 and am on PAYE ($204/monthly). I start making this payment once my 6 month deferment grace period ends (June 2019). We both work in government in Texas and are seeking PSLF. We both earn $41,000 each. Would it be best to file married-joint or separate in regard to student loan savings versus tax savings? Thank you for your help! Joint. If you both have big debt it’s very uncommon to need to file separately. Hi. Looking for some advice for our current scenario as we were just married in July 2018 and this will be our first tax year together. 1. Her current loan payments under IBR are $250. I am assuming we should file married filing separately to make sure her payments stay low as she would get kicked out of IBR if we file jointly? 2. Can I reduce her AGI further by contributing to a Traditional IRA in her name? Or is that excluded under the MFS rules? 3. Should we review the impact on taking the standard deduction and itemizing our deductions? 4. What is the box on the IDR plan regarding “Married but can not reasonable access my spouses income”? 5. Is it better or worse in our situation since our incomes are so drastically different? Any suggestions on what we should do would be much appreciated! Based on the repayment estimator her payments would increase to over $1,200 if we file jointly so that doesn’t seem it would make sense. Thanks! I have been paying my school loans for what seems an eternity! I am currently on the income driven repayment plan because that’s all I can afford. However, I just noticed that I owe almost $4,000 more than last year! Ugh! I want to look into this REPAYE plan and hopefully it will help. I’m just so discouraged about these students loans. In fact, the Bachelors degree in Human Services has done absolutely nothing for me other than being in a lifetime of debt!! Yeah with REPAYE you generally get a subsidy of 50% of the interest you’re not required to pay each year (applied monthly). That means under REPAYE you might’ve accrued $2,000 of interest instead of $4,000. I am a teacher and recently qualified to have loans forgiven via the teacher loan forgiveness program, leaving me with a balance of around 95k. I also want to seek loan forgiveness with the PSLF. Do my payments made before the teacher loan forgiveness count towards my 120 payments or does it start over? Also, my husband does not have any student loans and we both make under 75k. We are a family of 5. Will it be in my best interest to file taxes separate to decrease my loan payment? My wife will be graduating with approximately $60,000 of direct federal loans and is going to work as a social worker upon graduating. Her income will be much lower than mine. Would she be eligible for the public service loan forgiveness and are we better off filing taxes separately? Thanks Travis. From a tax filing perspective, if we are currently filing jointly, when do we need to start filing separately for the purposes of the the PSLF if my wife graduates in 2020? I am in the PSLF prgm and am in my 8th year. I am on the IBR plan. I’ve read through all of your comments and am confused as I see you recommend the PAYE plan for some over the IBR. I am married, we file separately each year to keep my payments lower. Can you clarify this for me? If you borrowed before Oct 1 2007 then you aren’t eligible for PAYE even if you paid off the loans already. So in that case your two choices are IBR and REPAYE. IBR is the only one of those two that allow you to separate your income from your spouse. So that’s when it’s useful in a PSLF context. My newly-married wife and I are determining how to file. I have no debt, make 84k. She makes 38k, has been on the IBR plan, has made about 108 payments out of the required 120 to be eligible for PSLF, with about 10k in debt remaining. From the comments so far, it looks like filing separately makes sense to keep payments low. Is this recommended? Thanks. Yeah and don’t forget you’re allowed to amend up to 3 years in the past I believe. So you could wait to see if you get PSLF then see if you could amend to get the taxes back. 1. Does it matter if we file jointly or separately this year and for the next few as we won’t start paying on the loans for at least another three years? 2. What should we be doing in the few years as we approach that time when we begin paying on the loans? My wife is using the pslf for an income based repayment, we have 2 children. Does she have to claim the children? We are both teachers and I make slightly more than her (my loans are paid). We are filing separate to save on her monthly payments (jointly, monthly student loan = $280, separate = $40). I did not know if she had to claim the children to be eligible for the income based. She doesn’t have to but since they base it on her tax return I would probably have her claim them. If both my wife and I are on IBR and file jointly, are the monthly payment amounts simply based on combined AGI? Is combined AGI reduced by the fact that we’re currently both paying back loans? We recently got married, both make around $90k, and have monthly payments around $500 (based on last year’s separate filings). If we file jointly this year, it seems each of our monthly payments might double to around $1000k/month, or $2000k/month combined (since our combined income is double each of our individual incomes). I haven’t checked our potential tax costs if we file separately, but I’m doubtful it would exceed the additional $12,000 we would pay in combined student loans per year if filing jointly. Appreciate the help! Payment is always your joint AGI then its proportionately split based on debt amount if you file joint. They dont double count your income. So IBR payment of 1000 means maybe 600 to yours and 400 to spouse if you had 60% of the debt. In general, couples where both people have big debt should file jointly. My husband is a firefighter employed by our county and he does not have any student loans but I do. Do spouses qualify for this if we file married jointly? It makes more sense for us to file married but separate, however, it hurts us in terms of how much were taxed (we did the math and it is MUCH better to file separately). Are we able to amend our tax return to file married after I recertify annually to have a lower monthly payment? Is there any rule that they need to have the most up to date tax return on file at all times? I have $176,041.44 in unpaid principal and $24,593.44 unpaid interest for a total balance of $200,634.88 worth of 11 Direct Student Plus loans. I make 66k a year and just finished my first year of PSLF and pending the form to be completed from my employer. I currently work a non profit large hospital that is eligible. Do you recommend I consolidate all these loans into 1? I am currently on a IDR payment plan for all the loans and the interest accrual every month is ridiculous which makes me nervous in the event the PSLF plan is terminated. No dont consolidate you have 9 years left, no reason to add another year for easier administration. Should I keep it on the IDR plan? I’m a physical therapist and will be married next year to my spouse who makes 150k+ with no debt, I would imagine we will file separately though to prevent the payment increase. I am unsure what to do. I am newly married. Furthermore, we each sold a house. So, our income for this past year is massive but not a “true” measure of our income. It appears “married, filing separately” is the best bet. Though our taxes are higher for the year, our estimated loan payment is much lower. However, using our tax returns is an egregious over-estimate of our income for the year. I also found that I can use my paystub to estimate my income-based payment but that also is an overestimate. Though my paystub averages out to $109K, my tax return for the prior year (with the same pay) had an AGI of $86K (I don’t know how or why). So, a payment based on my paystub average (109) is much higher than one based on the year’s prior AGI (86). Someone told me I could have my accountant write a letter vouching for my estimated income based on this year’s earnings and they can use that? Can anyone help or does anyone have any answers about these matters? “Taxable income.” So, if I maximize my 401k contribution that reduces my taxable income and, therefore, my payment? Or, does it calculate “gross income” (ie, pre-retirement contribution)? Thanks again for the helpful comments and info! Travis, thanks for helping all of us in need of quick guidance! I currently owe in $357k in (federal) student loans from undergrad and law school and my husband owes close to $200k. Last year I grossed $67k and my husband $108k. Newly married and no kids, we filed our taxes separately to avoid higher loan payments. I am now re-certifying my income. (1) Should I use my tax return or a pay stub? There’s been a discrepancy in years past of my monthly repayment depending on which documentation I send in. (2) I want the lowest monthly repayment but I’m thinking they will put me on IDR. Based on my income, it will likely be around $550/mo. I can’t afford that. Do I have any other options if I can’t pay the amount they calculate? I think yall are making a mistake filing separate. There’s no need to if you both have loans of that size. Generally REPAYE and PAYE are decent options in terms of payment amounts. But remember that paying the least isnt a strategy. Hi Travis, I have parent plus loans totaling 99,000 at 8% but if I add my student loan at 3.5% the interest rate comes down to 7.2% and the total comes up to 118,000. First question… should I leave in or leave out my 3.5% student loan when consolidating? Like I said I am going to consolidate all my federal direct parent plus loans (99,000) however we filed jointly in 2017 for a total of 171,000.00 (I made 136,000.00) combined income. We always have to pay taxes back to the IRS because it’s just us two with no dependents. We haven’t filed for 2018 just yet but the income will be more or less the same. What plan should I choose to consolidate under? I am 61 years old and my income will drastically decrease as full retirement is around the corner (4-5 years? maybe sooner if my daughter has a baby). I probably need to look into an income repayment plan that can stretch for 25 or 30 years so that payments can be minimal during my retirement years. Being at 61 I have found out that my loans will be forgiven should I pass away before I pay them off. It currently makes sense for my husband and I to file separately to keep my loan payments on IBR while I’m working on PSLF for loans that I took out to send the kids to school and then consolidated for the program. I’ve seen comments that you can go back and amend pst returns to file jointly after the loan is forgiven. Is this something that can be done mid-stream as well? For example, can I amend our 2017 return now that I’ve filed 2018 and will be recertifying my IBR based on that? I have just finished my 2018 tax return and filed separetely (in past years I filed jointly with my husband). I am working towards PSLF and on IBR. Now that I have my 2018 return completed, can I send in a change of income request reflecting my 2018 AGI or do I need to wait until the fall when I recertify my income? one other unrelated question regarding PSLF—I have heard from some that once the forgiveness happens, I have to pay taxes on the amount of that forgiveness, as the IRS considers it income. I have heard from others that this is not the case because it is public forgiveness. Do you know that answer to that? Hey Travis. I am new to all this PLSF. I recently got married, and she has student loans under a IDR. I do not have any loans. Because of our situation, she had to leave federal service, and I kept my federal job. Does she still qualify for PLSF, even though technically I am the one making the payments and I am a Federal employee? I think I’ve seen this somewhere, but can’t find it now, hoping you can verify for me…I work full-time at a qualifying non profit but want to pick up a part-time job, about 5 hrs a week at a non qualifying for-profit. Will this part time job have any effect on my loan forgiveness? I know I would include the income when I recertify my income annually. But wanted to make sure that this would have no effect on the outcome of the forgiveness itself.